Born at Paisley, Ontario on 17 July 1870, son of Robert and Ann McPherson Blackburn, he came to Pilot Mound as a boy, in 1879, and was educated at local public schools. 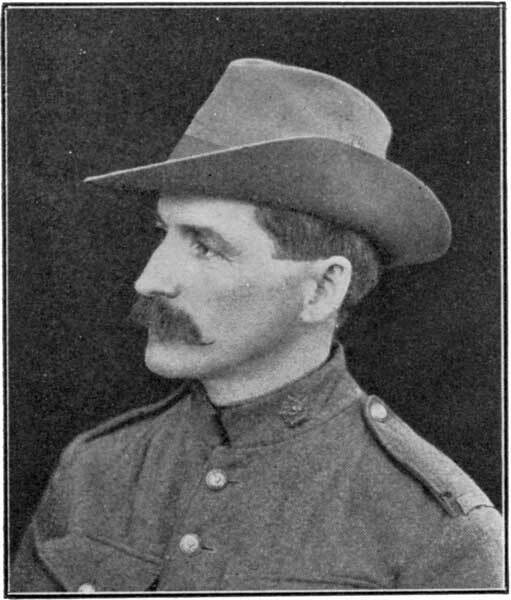 He was engaged in retail business around Pilot Mound until 1903 when he moved to Winnipeg and went into partnership with T. C. Bullock in the grain company of Bullock and Blackburn. The company was dissolved in 1906 and Blackburn went on to help form the Grain Growers’ Grain Company with himself as Manager. In 1911 he formed the Blackburn and Mills Grain Company in partnership with D. K. Mills, later Blackburn, Mills and Graham. He retired from business in 1931. A noted rifle shot, he entering competitions as tyro in 1903, winning a place on the Bisley team from 1906 to 1908, but did not go to England in 1907. In 1909, he won the Prince of Wales Cup at Bisley, carrying off that year eleven first prizes, including the Prince of Wales Badge, the Wingrove Cup, the Birmingham Metal and Munitions Company Cup, the Martin Rapid Fire Challenge Cup, and the National Rifle Association Gold Jewel. He was a Lieutenant in the 90th Regiment, Little Black Devils. In 1895, he married Lida Grose (1864-1933) of Creemore, Ontario. They had no children. He was a member of the IOOF (Minnehaha Lodge), the AF & AM (Ionic Lodge), the Granite Curling Club, and the Central Congregational Church. His recreations included shooting, hunting, fishing, curling, and baseball. He died at his Winnipeg home, 748 Westminster Avenue, on 6 May 1937 and was buried in the Elmwood Cemetery. “Alexander Blackburn is dead,” Winnipeg Free Press 7 May 1937, page 2.